Pedigree of: Aust Grand Ch. Kerjoydon Earl O Hearts. Comments MULTI B.I.S. 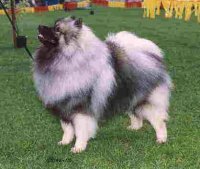 WINNER Best in Show 1996 K.C.V. Champ Show R/up in Show 1993 & 1995 K.C.V. Champ Shows. Aust Grand Ch. Kema King O Hearts. Aust Ch. Zilvervos Rhine King. Aust Ch. Rymiska Kzam. Aust Ch. Duroya Homeguard. Aust Ch. Colijn Miss Miska. Aust Ch. Ryfrost Snow Mane. Aust Ch. Ryfrost Capten Stalite. Aust Ch. Ryfrost Angel Eyes. Kema Charm. Kema Harry Hotwheels. Aust Ch. Kendari Dutch Dandy. Kema Focal Point. Kema Winter Worrall. Kerjoydon Calico Lass. Aust Ch. Zilvervos Rhine King. Aust Ch. Rymiska Kzam. Aust Ch. Duroya Homeguard. Keesoyed Denim Nlace. Aust Ch. Kendari Curacao. Aust Ch. Duroya Homeguard. Aust Ch. Grachthond Bloemrijk. Aust Ch. Gavimir Ubacaan. Aust Ch. Delft Blauw Roullette.